From its modest beginnings as a 12-room adobe boarding house, to its current stature as one of the finest hotels in the United States, providing a total of 238 rooms and suites, The Mission Inn Hotel & Spa has been the cornerstone of Riverside's downtown since 1876. 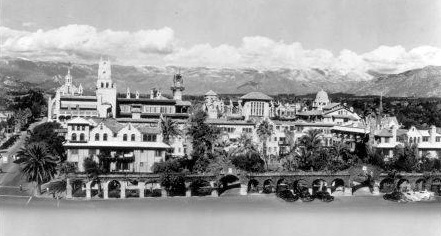 The Mission Inn’s rise to greatness began in the late 1800’s when wealthy Easterners and Europeans flocked to Riverside in search of both a warmer winter climate and also a way to invest in the area’s profitable citrus industry. By the 1890’s, Riverside was the richest city per capita in the United States. The consistent influx of tourists to Riverside made Frank Miller, the Master of the Inn, recognize the dire need for a grand resort hotel. It was in that moment that the evolution of The Mission Inn began. Frank Miller opened the first wing, The Mission, of his new hotel in 1903, which was built in Mission-Revival style architecture and incorporated different structural elements of the 21 California Missions. 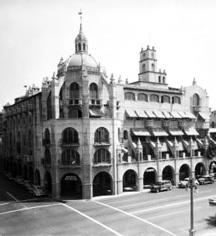 Mr. Miller went on to add three more wings to his hotel: the Cloister, the Spanish and the final addition, the Rotunda wing, in 1931.